Gulli: When do you think that Wells wrote this story? It seems like a very old manuscript. dependence on writing and selling short fiction. So the puzzle is, why was this one either never sold, or if sold, never published? One clue to its date is the pile of Athenaeums in Meredith’s room; the magazine closed in 1921, but rather lost its way after about 1900, as I remember, when it was in some ways superseded by the TLS. Another is the reference to Sickert, though I can’t throw any other light on this. On the other hand, George Meredith was a very well-known English novelist who died in 1909. It might have been awkward to have published a story during his lifetime in which the main character, a “literary man,” bore his name. Gulli: Physically it was very difficult to decipher, and looking at his manuscript of The Time Machine, you could also see the writing was very tough to transcribe. Who transcribed the works of Wells? the typed drafts, but like most handwriting, his gets easier to read with practice. There are one or two phrases in the transcription that had me wondering—for example, in the opening lines, was Meredith really always “leaving” his matches rather than losing them? Gulli: What was his attitude to ghosts and the occult? From the little that I know about Wells, he was a firm atheist but this story definitely has the feel of someone who ventured into the spirits. Parrinder: He wrote quite a few ghost stories in the 1890s, as did many other popular writers at the time, so was happy to respond to the demand for them. Sometimes the “ghost” has a pseudoscientific explanation in his writings, though in this one, the “scientist” may be able to explain the marks on the ceiling, but not their haunting effect. Gulli: His other short story, “The Red Room,” was vintage Wells. How would you describe this story’s mood compared to some of the other horror stories that he wrote? Parrinder: It has a more whimsical, comic aspect—the story of an untidy, whiskey-sodden, pipe-smoking “literary man” whose terror seems to be groundless until, in the end, it is explained and he is vindicated. Gulli: Are any of the themes of this story similar to anything else that Wells wrote? Parrinder: The scientist Bordell who, to some extent, explains the mystery, and the contrast between the “scientific” and the “literary” mind are typical of Wells. Gulli: How did these manuscripts end up in Illinois, of all places? Parrinder: Wells’s archive was auctioned after his death and was acquired on behalf of the University of Illinois by Professor Gordon Ray, best known for his biography of Thackeray. Unfortunately, Professor Ray never finished his projected Wells biography. Gulli: Anything that you think readers should know about Wells? 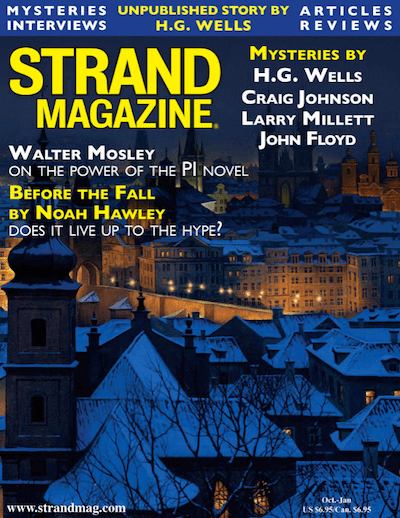 Parrinder: A lot of Wells’s well-known short stories, like “The Star” and “The Country of the Blind,” are very different from this, but he wrote many remarkable stories of the paranormal: “The Plattner Story,” “Under the Knife,” “The Story of the Late Mr. Elvesham,” “The Door in the Wall,” and others. 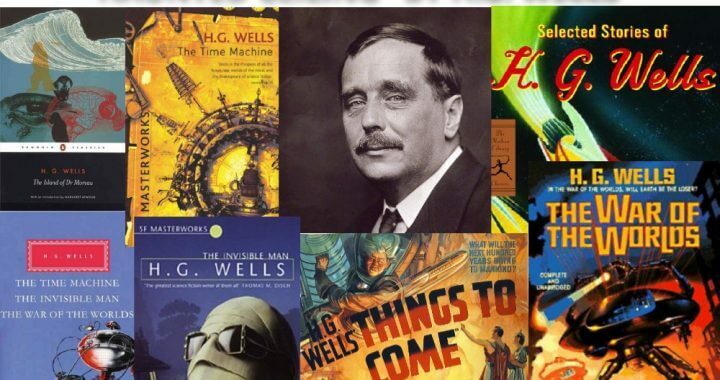 Gulli: What are your favorite Wells short stories and novels? 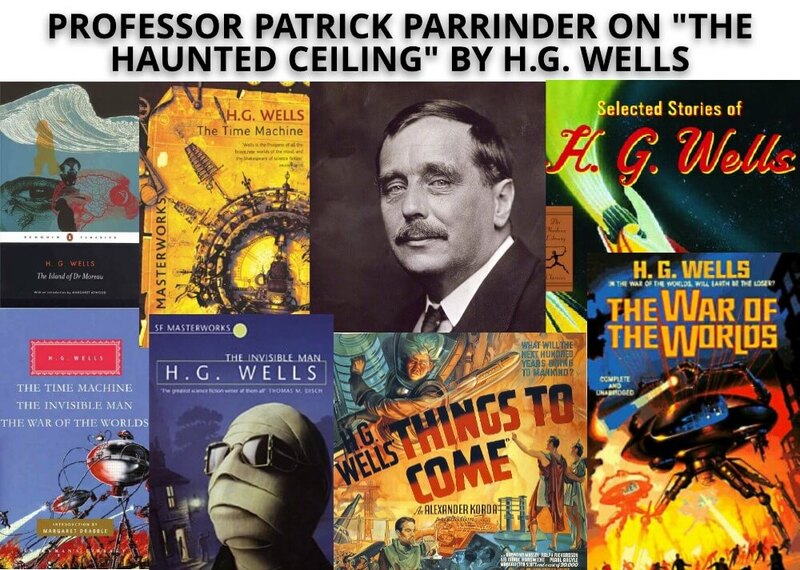 Parrinder: Among his novels, The Time Machine, The War of the Worlds, The Invisible Man, Tono-Bungay, and others… but if you have got the Wells bug, you won’t stop there! Posted in Blog Article, In this Issue.